The Merlot portion finishes this Rosé with a full round mouth feel. 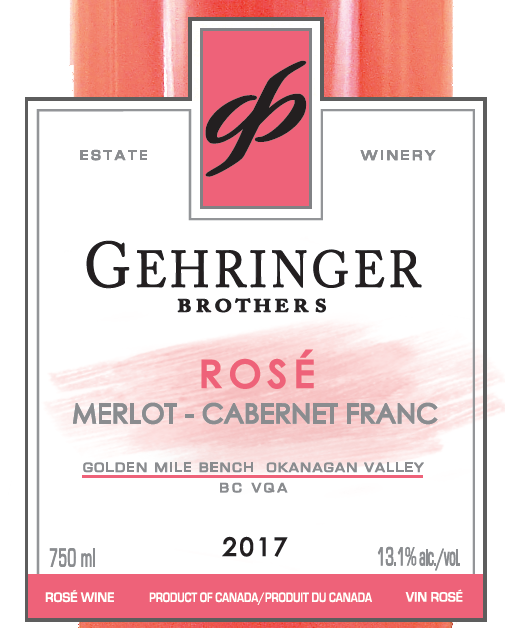 Cabernet Franc possesses among other flavours, strawberry and red currant that come to the forefront when vinted in a Rosé style. This Rosé is a stylish wine with delicate splashes of strawberry, rose petal, red currant and Granny Smith apple. It finishes refreshingly dry. ​Perfect for summer sipping and every day "feasts" of seafood, light pastas, fish and pork tenderloin. Click for a detailed profile sheet.